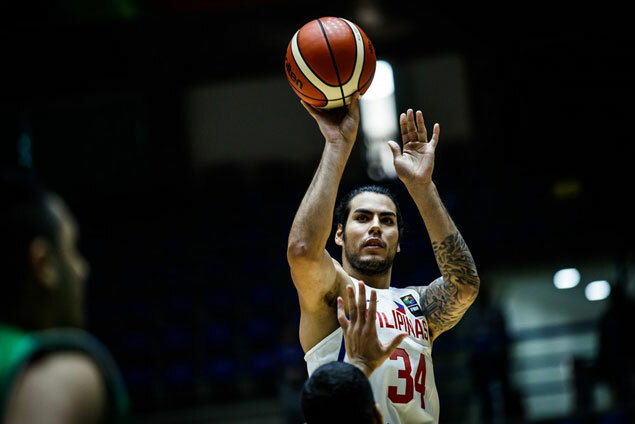 CHRISTIAN Standhardinger just completed an unfinished business with Iraq on Friday night. The Fil-German came out firing for Gilas Pilipinas as he teamed up with Terrence Romeo and Carl Bryan Cruz in a huge third quarter barrage that took the fight out of the Iraqis on the way to an 84-68 win - the second straight for the unbeaten Filipinos in the Fiba Asia Cup in Beirut, Lebanon. The 6-foot-8 Standhardinger, playing as a naturalized player in lieu of Andray Blatche, finished with 16 points, including 10 straight to open the second half, before Romeo and Cruz took over to finally turn around a game that was too close to call, 32-31, at halftime. The Filipinos outscored the Iraqis, 28-9, in the third quarter, with Standhardinger accounting for 12 points in that game-breaking run. He also added seven rebounds in yet another solid game that more than made up for his lackluster showing against the same team in the 39th Jones Cup last month in Taipei. Standhardinger was held to just nine minutes of play in the 84-75 Gilas win after being assessed with a technical foul against Dhulfiqar Al-Hchaimi that forced coach Chot Reyes to send him off to the dugout. Dhulfiqar wasn't part of the Iraqi team in Lebanon. The 27-year-old Standhardinger is averaging 15.5 points and 6.5 rebounds through two games for Gilas in Lebanon. More importantly, the bruising Munich-born cager saw saw this game through down to the very end.